Vin Quilop has big dreams for his small paintings. (SPOT.ph) The sun steadily sets over one of the airports in the Middle East; amid the crowd that comes and goes, a child can be seen watching in fascination as planes take off and land. With a pencil and a sketch pad, he would while away the time drawing aircraft of different sizes. 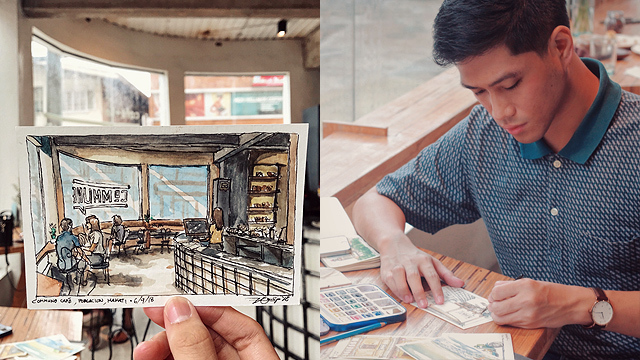 Fast-forward 15 or so years, and 25-year-old artist Vin Quilop still feels a lot like that child who loved to draw everything he saw—except now, he captures everyday scenes in Manila. Quilop started watercolor sketching while exploring the Metro, eventually turning them into postcards. "I'm inspired by the city corners, the light bleeding through the trees, the summer and the rainy season, the daily kuyang mangtataho and simply, by life itself,” he recalls, remembering the little boy who discovered his skills in capturing mundane and fleeting moments at the airport. Doing watercolor painting allows him to be a little reckless and experiment with different techniques. “Nothing beats the feeling of pencil scratching the rough 300gsm, the mixing of the colors, the water flowing over the paper. I love digital's clean, straightforward process, but the imperfections of traditional is what gets me," he adds. It was all the time spent drawing planes in an airport that nudged him down this path. 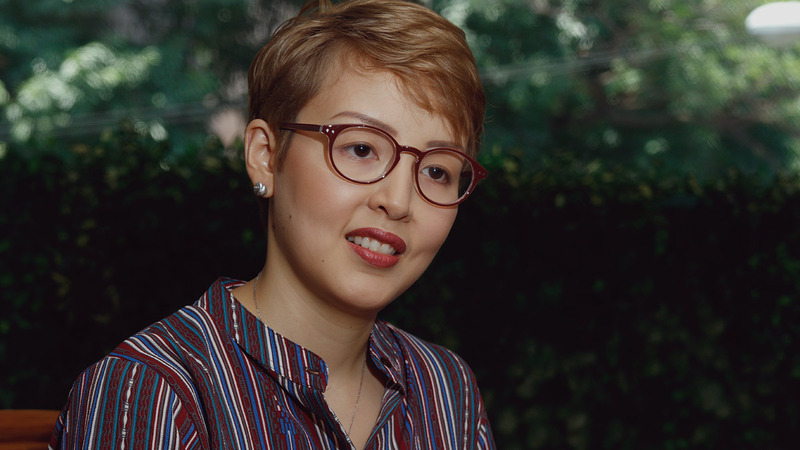 "I grew up in Saudi Arabia with my family, and my dad would pick me up from school and let me stay in his office—he worked in the airport," Quilop shares. Being exposed to life in a foreign country with a conservative culture, he was able to express himself through art. He started drawing whatever he saw at the airport: Places, faces, and, of course, the aircraft. "I tried to draw a lot of planes. And I didn't realize it at that time, but I think that was when I really got into drawing." By the time he was about to start high school, his family decided to move back to the Philippines—except for his father. Trips to the airport were less frequent, but he didn’t lose his passion for putting what he sees around him on paper. 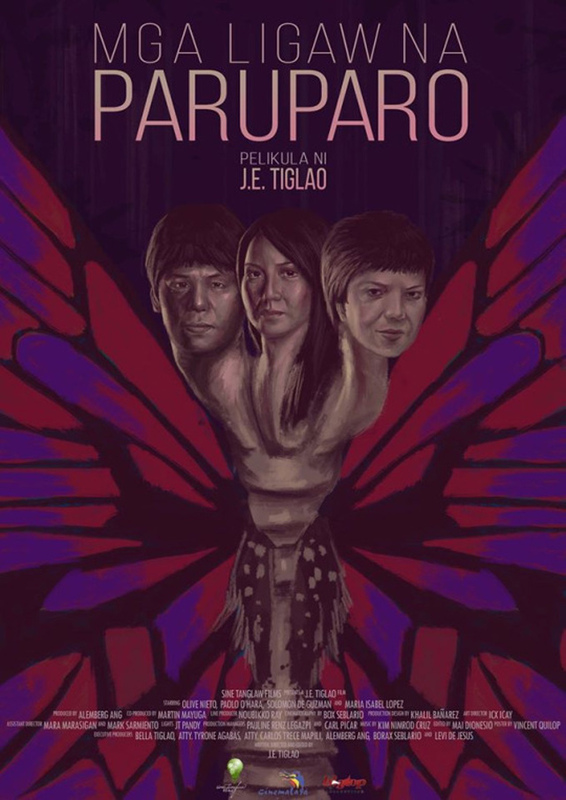 He went on to study Multimedia Arts at the Mapua Institute of Technology and harness his talents in drawing and painting. With the advent of social media, Quilop’s only reason to be on Tumblr in 2011 was to showcase his works—mostly fan art. He found beauty in the thought that the digital space “can be considered a museum of its own.” Eventually, it became a platform that opened doors to opportunities. Art enthusiasts and big brands started commissioning his work. 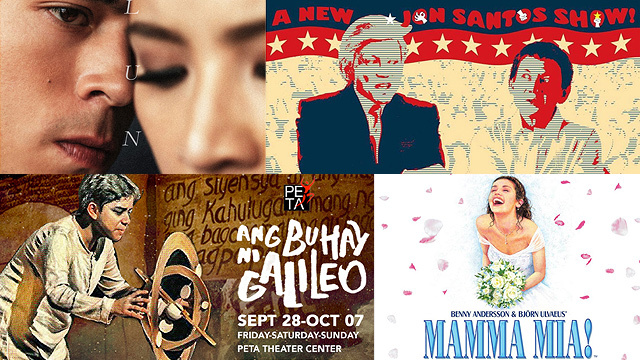 He also designed a few Cinemalaya film posters, like Dagitab, Mga Ligaw Na Paruparo, and Asan si Lolo Me. His talent and passion did not go unnoticed. McCann Erickson, one of the country’s top advertising agencies, saw his potential and offered him an Art Director position at the age of 22. That’s when he decided to drop out of college and focus on his craft. But working on pieces for clients and a busy schedule in advertising made Quilop realize one thing—if he wants to explore more about himself as an artist, he has to devote more time to his craft. So he quit his day job, not expecting what was in store for him next. 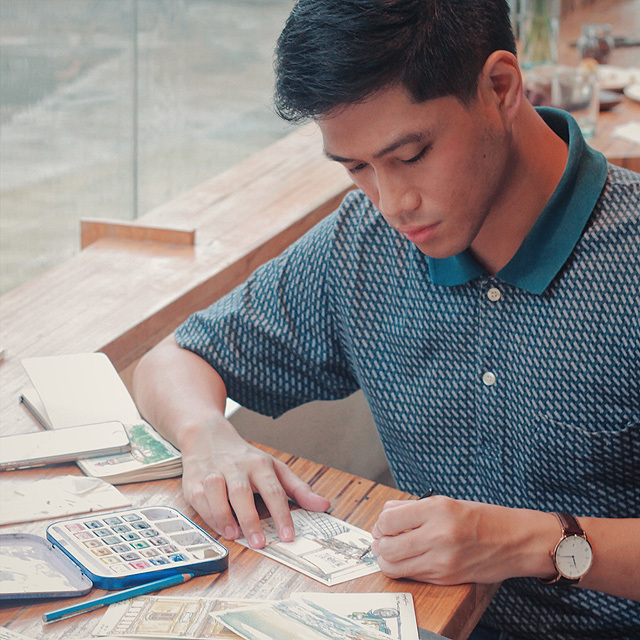 These days, he shares his skills with other aspiring artists by conducting workshops on portrait sketching in local cafés, including Commune along Polaris Street in Poblacion, Makati. His works have started to draw a following online, catching the eye of the Art! Vancouver organizers, who have invited him to join the event, scheduled for April 2019 at the Vancouver Convention Center in Canada. There’s only one catch: It would be hard to fly all the way out there with the earnings of a freelance artist. Still, he’s determined to push through by accepting more commissions and selling his postcards. "I'm thinking of [Art! Vancouver] as an opportunity to give [a foreign audience] a slice of Filipino life through my works,” he says, voice full of hope. Armed with youth and optimism, Quilop just might find himself back to being that kid again, waiting at an airport. For more works by Vin Quilop, visit his Instagram page.